The German airfield, captured, judging by the Hurricane fighter in the background, by the British army. 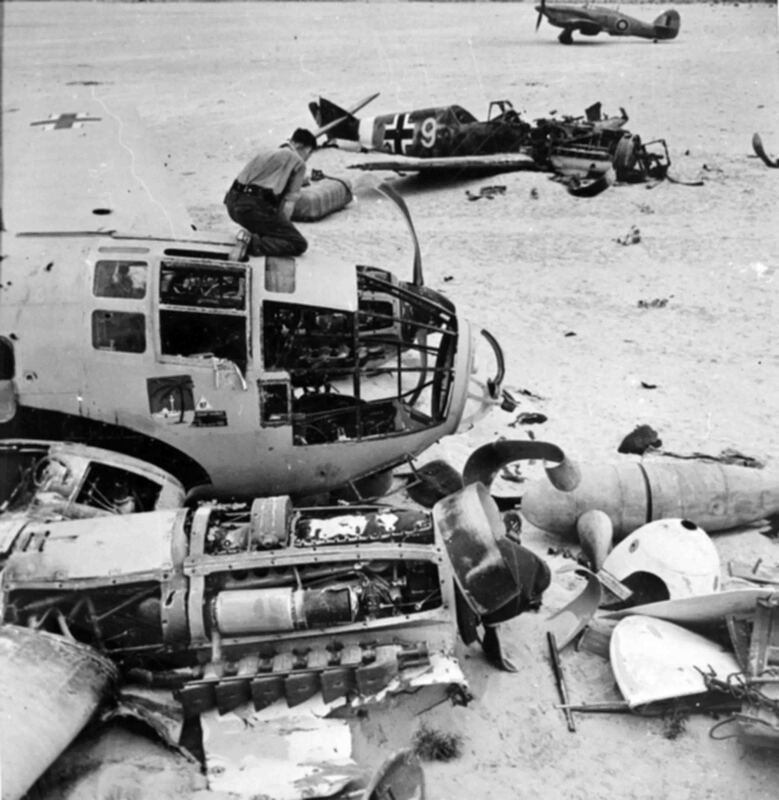 In the foreground, the destroyed Luftwaffe airplanes are the Heinkel He-111 bomber from Kampfgeschwader 54 “Totenkopf”, then the Messerschmitt fighter BF.109. The airfield was in Egypt, North Africa.